All our available scores for the composition Shake Some Action are displayed on this page. 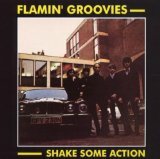 The composer of Shake Some Action is The Flamin' Groovies. We have a Comments tab below where you can write your thoughts about this The Flamin' Groovies song. Simply click on it to view existing customer feedback, and to type your own. All you need to do is choose a screen-name (one that has not yet been taken - we will tell you if it has been), and you are ready to post. Did you dig this piece of music? Would you like others to know how much you enjoyed playing this track? Then simply click on the share button and you can select from a number sharing options. Shake Some Action has been arranged for 2 instruments and we currently have 2 arrangements on offer in total.